A nice straight bench with back. Hand-carved geometric decoration on the back panel, plain straight top with decorated lions base. 19thCentury origin. 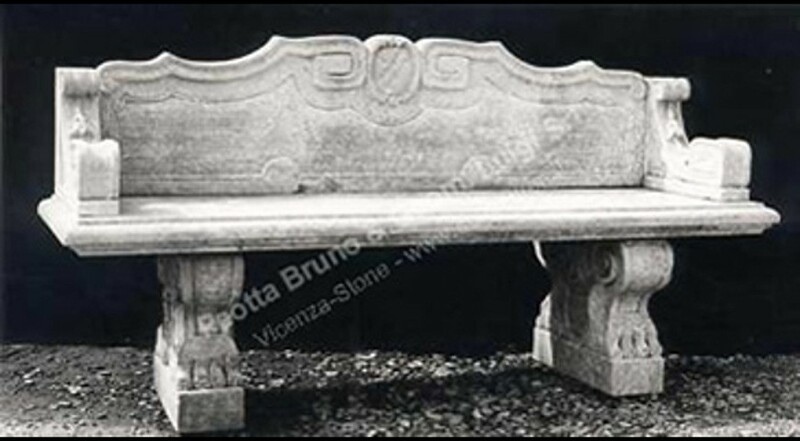 Hand crafted stone bench by our artisans. This stone Straight bench with back is ideal to be used on a patio, terrace or garden.